Paying attention to everything the FAA has put forth since their rules and regulations were initially put into full effect is crucial for all drone fliers. Are you aware of the laws and regulations related to drones in your state, as well? Unfortunately, it would seem that the only areas drone users in Colorado are able to fly legally are up in the mountains and smaller areas. A lot of areas are unclear as to whether or not drones are allowed. Thankfully for drone enthusiasts living in Colorado, it’s legal to fly your drone in the Colorado Rockies, specifically in the highest point. Mount Evans is a whopping 14,240 feet in the air and one of the best places in the entire state to get some footage. White River National Forest’s own Hanging Lake area is legal, apparently, as well! It’s a beautiful mountain lake that offers crystal clear waters flowing from the incredible waterfalls. Perfect for quick shots! 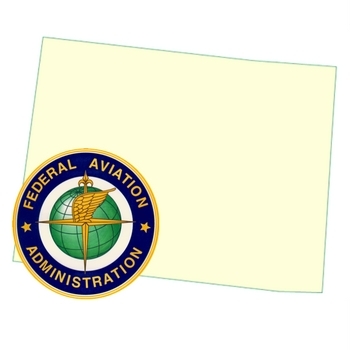 This is enacted nationwide, not only in Colorado, under Part 101 of the Act, being Special Rule for Model Aircraft, to ensure that drone operations under unsafe conditions are disapproved before the drone can be launched. For the purposes of this regulation, drone shall be defined as including, without limitation, any contrivance invented, used or designed for navigation of, or flight in the air that is unmanned or guided remotely. A drone may also be referred to as “Unmanned Aerial Vehicle” (UAV) or “Unmanned Aerial Vehicle System” (UAVS). During a recent council meeting, the Town of Telluride adopted multiple regulations regarding drone use. As of April 18th, 2017, the proposed ordinance has been put into place as a law. 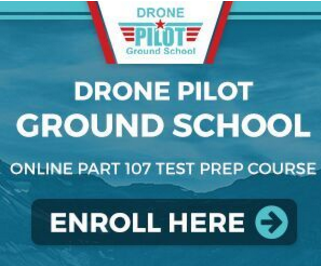 Any drone users looking to fly must first have approval from owners of private property where the flight will take place or from the town itself. Endangering both people and wildlife and operating a drone in a reckless manner is strictly prohibited. They must also keep their distance from any wildlife or people who are not involved in the flight operation directly. Drone users must also ensure that they are not under the influence of marijuana, alcohol, or any controlled substance in general. They must also not have any preexisting physical or mental conditions that may interfere with flying safely. 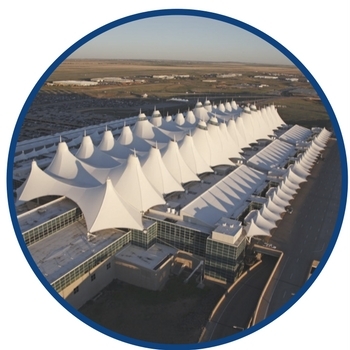 Cherry Hills Village has enacted a law that requires all drone users to follow guidelines and regulations set in place by the FAA and by registered with the FAA. Drones are prohibited from flying over public buildings, trails, public parks, public streets, and any area that is deemed to be city property. There are a number of ski resorts located across Colorado that have placed a ban on drone use, which you can inquire further on by clicking here. At this time of writing, there are currently a number of bills in circulation within the state of Colorado surrounding drones. The proposed ordinance would allow local authorities to enforce FAA regulations and address interference with firefighters and local law enforcement, voyeurism and reckless operation. It also includes having a deadly weapon or firearm equipped on the drone, interfering with any government emergency operations whatsoever, and using a drone for surveillance that has not been permitted by law. Drone users will be unable to takeoff, land, or operate in general on any property owned by the town. Prohibited by law, if approved, annoying or harassing wildlife, in general, will also be included. Further, it would also ban drone flight over restricted areas, such as the Carter Park Dog Park, Cucumber Gulch Preserve, the local golf course and the Nordic center if golfers and/or skiers are present. CONCERNING PRIVACY IN REGARD TO EMERGING TECHNOLOGIES. A person commits the crime of first degree criminal trespass if he or she is not a peace officer or other agent of a state or local government agency acting in his or her official capacity and he or she knowingly and intentionally uses an unmanned aerial vehicle (UAV) to observe, record, transmit, or capture images of another person when the other person has a reasonable expectation of privacy. A person commits harassment if he or she is not a peace officer or other agent of a state or local government agency acting in his or her official capacity and, with intent to harass, annoy, or alarm another person, he or she uses a UAV to track a person’s movements in or about a public place without the person’s authorization. The bill amends existing law concerning the retention of passive surveillance records by government agencies to contemplate the retention of records that are obtained through the use of UAVs. 18-7-802. Criminal invasion of privacy by the use of a device – penalty. EXCEPT AS DESCRIBED IN SUBSECTION (2) OF THIS SECTION, CRIMINAL INVASION OF PRIVACY BY USE OF A DEVICE OCCURS WHEN A PERSON KNOWINGLY AND INTENTIONALLY CAPTURES ANY PHOTOGRAPH, SOUND RECORDING, OR OTHER PHYSICAL IMPRESSION OR DIGITAL IMAGE OF ANOTHER PERSON, WITHOUT THAT PERSON’S CONSENT, IN A SITUATION WHERE THAT PERSON HAS A REASONABLE EXPECTATION OF PRIVACY, THROUGH THE USE OF ANY DEVICE REGARDLESS OF WHETHER THERE IS A TRESPASS, IF THE PHOTOGRAPH, SOUND RECORDING, OR OTHER PHYSICAL IMPRESSION OR DIGITAL IMAGE COULD NOT HAVE BEEN ACHIEVED WITHOUT A TRESPASS UNLESS THE DEVICE OR ANOTHER DEVICE WAS USED. SUBSECTION (1) OF THIS SECTION DOES NOT APPLY TO A PEACE OFFICER OR AN EMPLOYEE OR OTHER AGENT OF A FEDERAL, STATE, OR LOCAL GOVERNMENT AGENCY ACTING IN HIS OR HER OFFICIAL CAPACITY. CRIMINAL INVASION OF PRIVACY BY USE OF A DEVICE IS A CLASS 3 MISDEMEANOR. SECTION 2. Act subject to petition – effective date. This act takes effect at 12:01 a.m. on the day following the expiration of the ninety-day period after final adjournment of the general assembly (August 5, 2015, if adjournment sine die is on May 6, 2015); except that, if a referendum petition is filed pursuant to section 1 (3) of article V of the state constitution against this act or an item, section, or part of this act within such period, then the act, item, section, or part will not take effect unless approved by the people at the general election to be held in November 2016 and, in such case, will take effect on the date of the of the official declaration of the vote thereon by the governor. At this time of writing, this bill is still up for enforcement. A person commits introducing contraband in the first degree if he or she knowingly and unlawfully operates any unmanned aircraft system (UAS) within 5 miles of a detention facility with the intent to introduce or attempt to introduce a dangerous instrument, alcohol or an alcoholic beverage, a controlled substance, or marijuana or marijuana concentrate into the detention facility. In the airspace directly above any detention facility. A person who violates any of these prohibitions commits a class 1 misdemeanor. 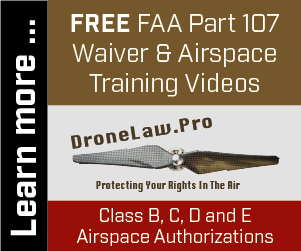 These prohibitions do not apply to the operation of a public UAS operated in compliance with any current and enforceable authorization granted by the FAA. I wonder about the part where it appears the state is duplicates already existing FAA regulations about flying near airports. What’s up with that? Also, be aware the state department of wildlife has regulations prohibiting flught at state wildlife areas. Nothing was/has been said about launching drones in national forest. Pretty sure it is illegal to launch a drone from a national forest trail HOWEVER you can launch it from a public roadway. National forests are fine. As long as it’s not within designated “Wildlife” areas. National Parks, and possibly State Parks may be different. You can fly OVER National Parks, but then you risk flying beyond VLOS, in which most everything worth filming is beyond visual line of sight. How about realtor’s hiring registered drones for the money shot flying under 200 ft over the surrounding homes? I feel that it’s n invasion of my privacy and the peaceful use of my home. That said, I would have given permission IF. The pilot had asked, or as the quarrelsome Fellow stated “informed me” of his intent. The main test would be that of ability vs intent. If the drone operator is materially invading your privacy, i.e. you can prove the operator is willfully/intentionally flying the drone for the purpose of observing you by way of their camera, you may have a case of privacy violation. Otherwise, a person flying a drone over your property is not automatically considered an invasion of your privacy. This would be very similar to how a contractor who is hired by your neighbor to inspect their roof wouldn’t be invading your privacy just because they can see your yard while conducting a legitimate job. Just because they “could” doesn’t mean they “are” trying to spy on you and that’s what you’d have to determine to have a claim of privacy violation. This web page has been very helpful. However, I was looking for information related to the Dillon Reservoir where I was recently told I could not fly over the water. Note: there where no people present where I was flying and No signs restricting flight. Any additional information on this would be very helpful as I plan to contact Denver Water and discuss this occurrence. Do the police have to have a warrant? My town is know to be corrupt and i believe they are also using drones to harass me. A neighbor is the sister in law of a detective in our town. So i believe the nephew of that officer is flying on our private property. So based on that, I would say the only place I’m allowed to stand and fly a drone would be my own backyard! If I can’t fly them in any public place or any park, just where in the city COULD I fly them??? Seems to me that there’s just too many restrictions on where you can fly these things to make them useable, unless you’re willing to drive hours out to nowhere to find a place. Remember that Thornton doesn’t own the airspace. I’m in Westminster and fly the open space near my house. I launch from the bed or roof of my truck. I’m right at 3.1 mi from airport. I call the tower and let them now I’ll be under 300ft and flying at location ‘x’ from ‘this time to this time’. Airport says “have fun”. I have even had a police officer hang out with me, and watch as I had to climb a tree to get my quad.